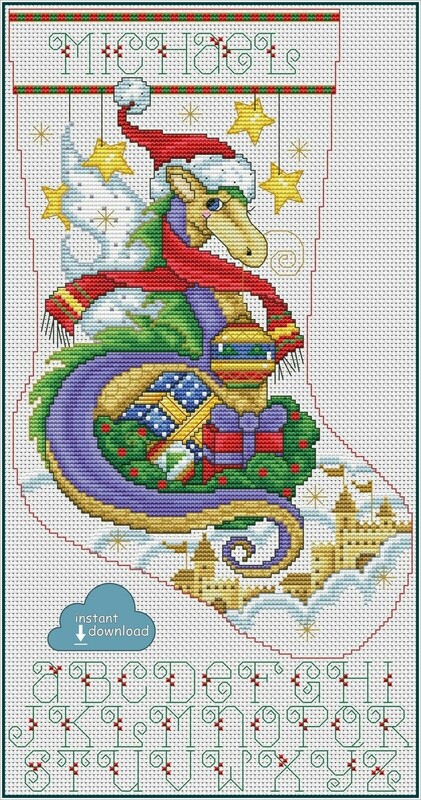 Christmas Dragon Stocking Cross Stitch Pattern PDF + XSD. Instant Download. Get ready for the holiday season in advance with this peaceful Christmas cross stitch motif. Create an adorable stocking that everyone will love! It will be a great decorative item to be used year after year. Create one for yourself, or craft multiple stockings as gifts for family members and friends.